We will be delighted to offer camping at St Bartholomew's Church from Spring 2019. The website is currently under construction - so do please click on the link below periodically to see updates. 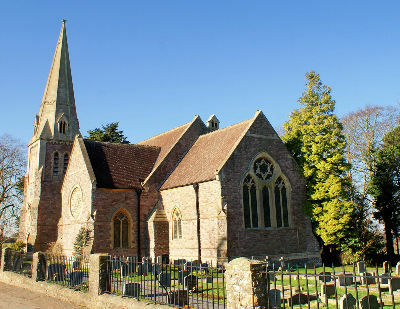 Please see the Failand Church Camping website here www.failandchurchcamping.co.uk for full details or call 07542 114128 to book. Are you looking for somewhere special to camp for the night? 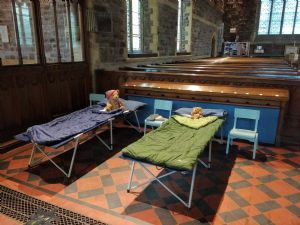 Come and sleepover at St Bartholomew's, our beautiful Victorian Church in Lower Failand! Situated in a sleepy country lane in North Somerset - and within easy reach of Bristol - we can offer you a tranquil stay with a difference. This is an ideal stopping place en route to the South West, and is not far from the M5 (Junction 19) or the A38. The National Trust property Tyntesfield is situated within the Parish and for the young ones there is Noah's Ark Zoo Farm. If you are into hiking, there are public footpaths nearby and for mountain bikers there are the Ashton Court and Ashton Hill (Belmont) trails. More information at the above website. You can see if the church is available for camping on their calendar here.